A report published in the International Journal of Toxicology states that castor oil is now used in more than 700 cosmetic products. That is somethings our mothers and grandmothers have always known. However, castor oil has a host of other benefits that go well beyond beautiful skin and hair, which many of us may be unaware of. Lets find that out. 4 How to use castor oil for hair growth? 6 How to use castor oil on face? Its fatty acids make it an ideal scalp and hair conditioner- it locks down moisture and prevents dryness . Regular application of castor oil is helpful in treating hair which has been damaged by harsh chemical processes like bleaching, ironing and dyeing. Greying happens when hair loses the pigments that maintain its darker color. Pollution too, has shown to accelerate greying. Castor oil, with its ability to lock in moisture and low reactivity to air, is a non drying oil that acts as a barrier against external pollutants. Most people use castor oil as a natural hair conditioner. Applying fats like castor oil to the hair on a regular basis helps lubricate the hair shaft, increasing flexibility and decreasing the chance of breakage (8). 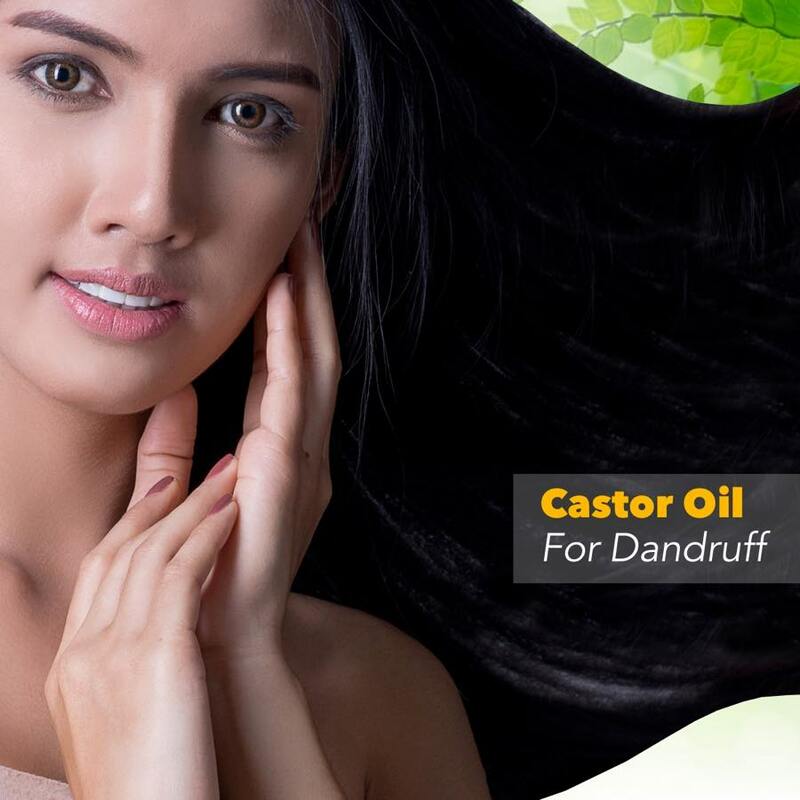 Castor oil helps reduce dandruff, a common scalp condition characterized by dry, flaky skin on the head. Though there are many different causes of dandruff, it has been linked to seborrhoeic dermatitis, an inflammatory skin condition that causes red, scaly patches on the scalp (9). The antifungal and antibacterial properties of castor oil makes it an effective treatment for dandruff that is caused by seborrhoeic dermatitis. It can also be helpful for men who want to grow their beards. Castor oil can be applied using fingertips in the area needed and lightly massaged. Castor oil can be applied directly to hair and scalp, preferably after warming it up. Depending on the dryness of hair, it can either be mixed with coconut oil or applied as it is and kept overnight. Use a mild shampoo the next day. Those who have slightly oily hair can mix castor oil with coconut oil. Massage the mixture on your scalp and hair. If you have dry hair or damaged hair, use more castor oil and apply it from root to tip. Whether by itself or mixed with coconut oil, massage the scalp with castor oil to strengthen the hair roots. After that, brush your hair with a wide-teethed comb to help it spread evenly. It can be used to treat acne, as it is an effective anti-bacterial agent. Castor oil easily penetrates skin, and hence, its ricinoleic acid can act fast against acne-causing bacteria. All skin-care experts say that moisturizing is the best way to hold off signs of ageing. Castor oil is an excellent moisturizer. It penetrates skin easily, and aids in production of collagen and elastin- the agents responsible for maintaining suppleness of skin. This is the reason why many plastic surgeons apply castor oil around the area of an incision, because it aids in skin rejuvenation. 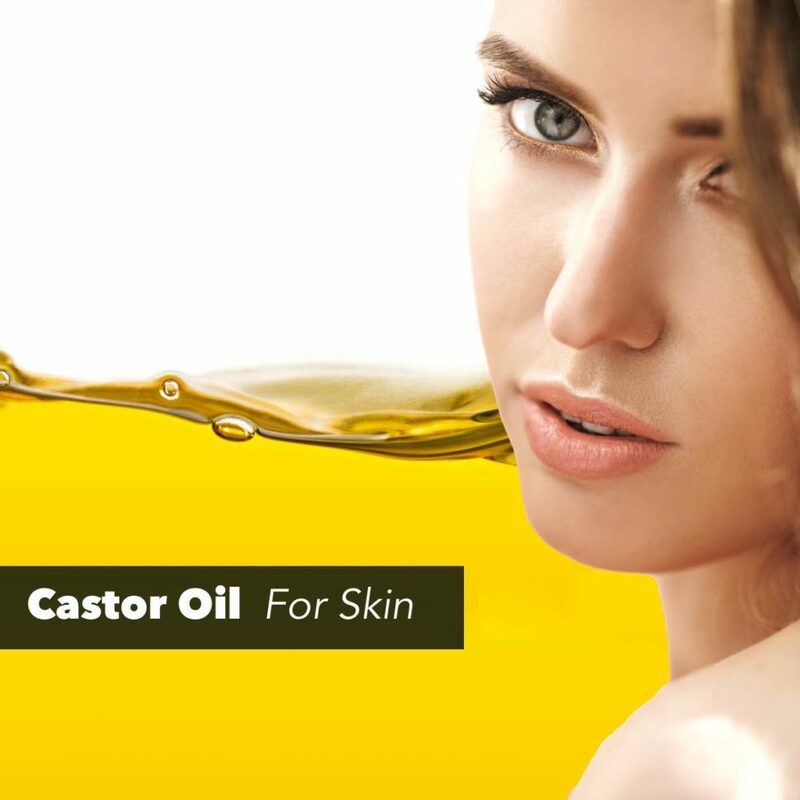 Being rich in fatty acids, castor oil helps fade blemishes and stimulate growth of healthy tissue. As it penetrates skin easily, it can easily absorb through scar tissue, and plump it out. Many dermatologists recommend application of castor oil to fight pigmentation and even out skin tone. Castor oil is rich in ricinoleic acid, a monounsaturated fatty acid. This types of fat act as a humectant and can be used to moisturize the skin. Humectants retain moisture by preventing water loss through the outer layer of the skin (13). Castor oil is often used in natural products like lotions, makeup and cleansers to add hydration as a quality to the product. Many popular commercial moisturizing creams & lotions contain potentially harmful ingredients like preservatives, perfumes and dyes, which can you harm overall health (14). 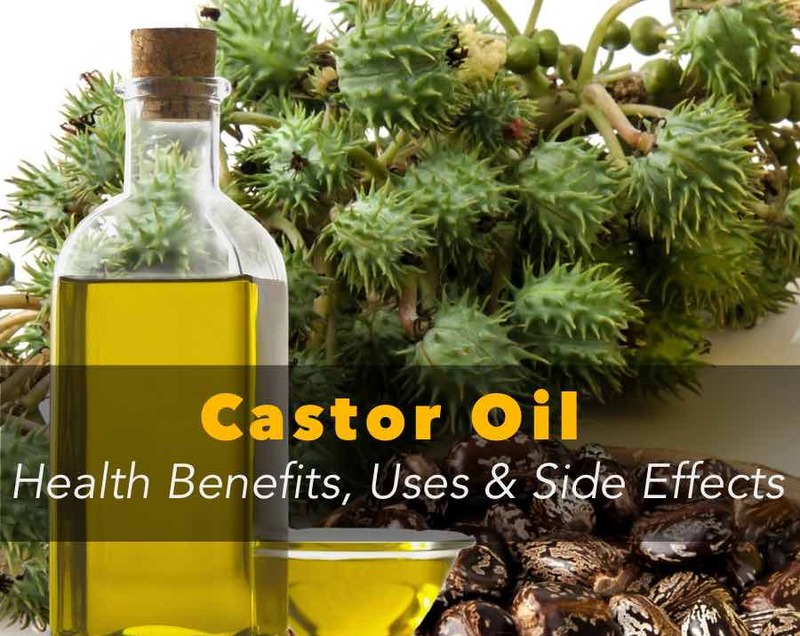 For people sensitive to such issues castor oil is a DIY option for natural skincare. Though applying castor oil to the skin is considered safe for most, it can cause an allergic reaction in some people (15). Hence it is prudent to test this out by testing it on a patch of skin like the inner elbow. Studies have found that ointments containing castor oil may be especially helpful in healing pressure ulcers, a type wound that develops from prolonged pressure on the skin. These wounds are seen in immobile people who are chronically ill and bedridden. It also reduces dryness and cornification, the buildup of dead skin cells that can delay wound healing (14). One study on 861 nursing home residents with pressure ulcers, when treated with a castor oil based ointment experienced higher healing rates and shorter healing times than those treated with other methods (17). How to use castor oil on face? Wash your face and neck and gently pat dry. Take a cotton ball, lightly dip it in warmed castor oil. Gently massage all over your skin and leave it for 10-15 minutes. When it is absorbed, wash with lukewarm water while massaging gently. This will keep your skin well-moisturized and increase blood circulation. This will also help you fight acne. You can use steam before doing this to open your pores, which will help the skin absorb the oil better. However, in Indian climate, extra-oily skin can act as a magnet for dirt and microbes, so it is advised to wash the face with cold water after some time. It can be applied topically on joints before massages. Derivatives of castor oil are used in various medicines, most prominently in those that treat ringworm, which is a form of fungal infection. Castor oil’s antifungal properties prevent the fungi from synthesising membranes, thereby killing the infection. This is a common problem for most people who spend hours staring at screens. 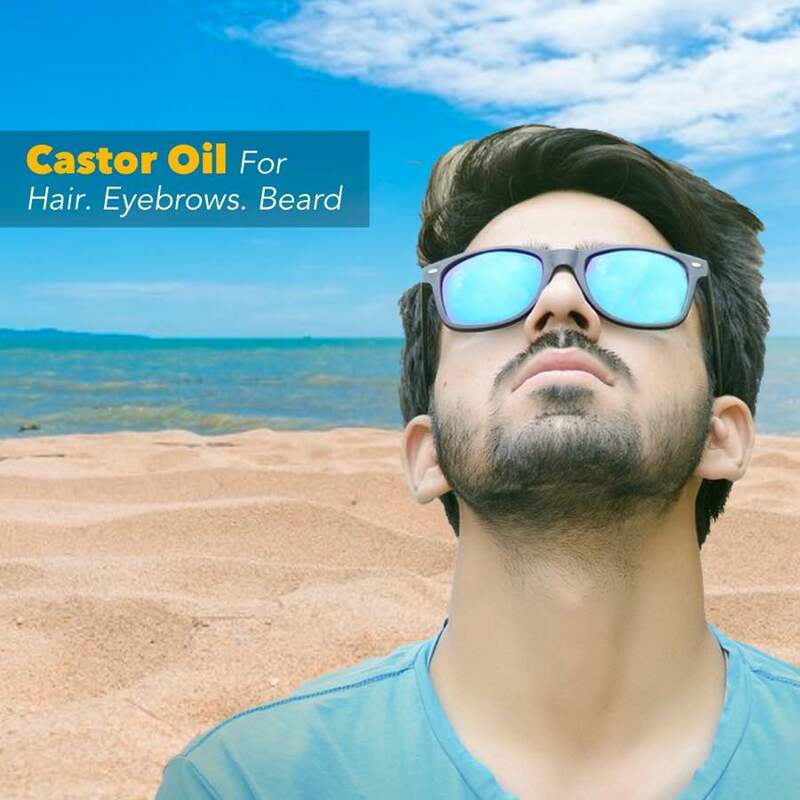 Castor oil, along with glycerine, is used to generate artificial tears to prevent dryness in eyes and treat associated symptoms like itchiness, redness and fatigue. Castor oil is also known as Arandi Ka Tel in Hindi. It is known by different names throughout India. 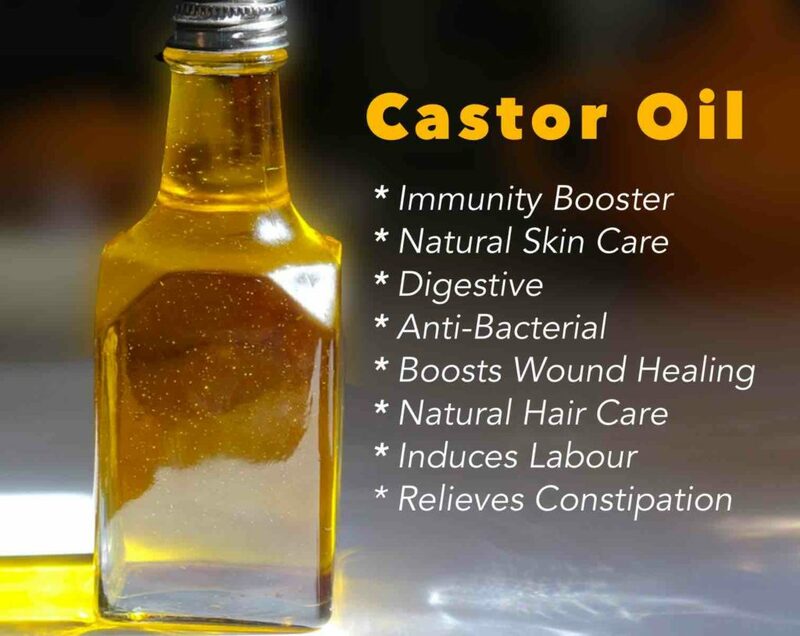 Here are some ways that castor oil can be used for self-care and better health. 1. Castor seeds contain ricin, which is highly toxic. Also, the allergenic compounds found on the plant surface can cause permanent nerve damage. 2. Before using, it is always recommended to take a local allergy test by applying some castor oil to the inside of the elbow and leaving it overnight. In case of any itchiness or occurrence of rashes, consult a doctor immediately. It is a heavy, sticky oil. Leaving castor oil for long on hair or scalp may lead to excess sweating and attract a lot of dirt. This may in turn leave your hair grimy and dirty. People with sensitive, oily skin should be careful while applying castor oil. It is a thick oil, and may result in clogged pores and excess oiliness. 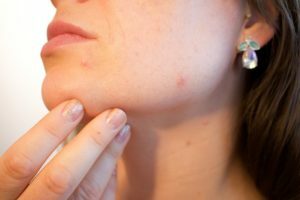 This may cause acne breakouts. Moreover, leaving on castor oil for a long time may attract a lot of dirt and cause excess sweating. It is a pale yellow oil obtained from the seeds of castor plant (Ricinus communis) , which is native to India and Africa. Castor oil and its derivatives are widely used in a number of products like cosmetics, perfumes, soaps and lubricants. What is castor oil called in Hindi? Castor oil is also known as Arandi Ka Tel in Hindi. It is known by different names throughout India, like Aamudamu (Telugu), Erandela Tela (Marathi), Amanakku Enney (Tamil), Avanakkenna (Malayalam), and Rerir Tel (Bengali). Yes. Castor oil has anti-bacterial and anti-fungal properties which is beneficial for skin. Castor oil can be applied to fight acne, moisturize the skin, reduce scarring and treat ringworms. Studies show castor oil is rich in anti-microbial agents. Hence, it can help fight acne and prevent breakouts. Applying castor oil topically on your acne can help kill the infection and heal wounds. How to apply castor oil on my face? Dip a cotton ball in a mixture of castor oil and coconut oil. Apply lightly on the skin and massage it. Leave it for 10-15 minutes and wash it. This increases blood circulation, moisturizes skin and prevents acne breakouts. 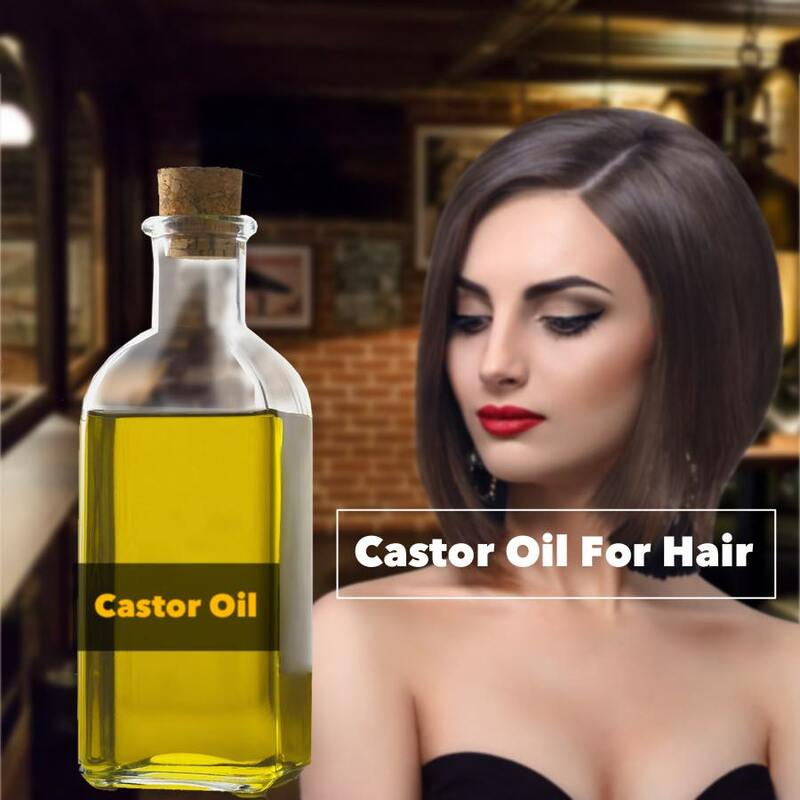 Castor oil is widely used in cosmetics and traditional medicines for preventing hair fall. It is also known to aid hair growth. Castor oil can also be used on eyebrows and beards. Anecdotal evidence suggests application of castor oil results in thick, shiny hair. Mix castor oil and coconut oil and slightly warm it. Massage this mixture on the scalp, and apply it from root to tip of the hair. You can keep it overnight and wash it off the next day with a mild shampoo. You can also mix castor oil with other moisturizing agents like yogurt, honey or egg yolk to make a hair mask. Apply it on your scalp and hair, leave for an hour and then wash it off. 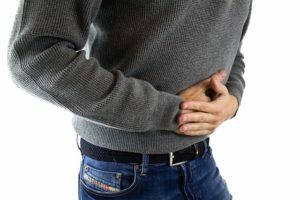 How to use castor oil for relieving constipation? You must take castor oil orally to relieve constipation. However, check with your doctor to determine the correct dosage. Self-medicating is not recommended when consuming castor oil internally. Are there side effects of castor oil? Castor oil is a potent laxative, so overdose can result in diarrhea. It is also a thick, sticky oil which may not be suitable for sensitive and oily skin. Leaving castor oil for long on your hair and skin can attract a lot of dirt and cause sweating. 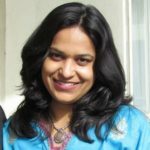 This can be a big problem in India’s hot and humid climate. Also, castor oil contains ricin, which is a highly toxic agent. Improper filtering and processing of castor seeds can leave traces of this substance in the oil. It is best to buy organic castor oil from reputed brands and consult your doctor before using it.